This vacuum cleaner is reasonably priced, highly powerful, effective, versatile, easy to use and not bad looking. There’s no vacuum cleaning task you can’t do with the Miele Classic C1. I personally love German brands, and although they don’t win many design contests, they are reliable and perform very well, which is the reason why we bought this one. Are you planning to buy a new vacuum cleaner? If your answer is yes and you’re like most people in the UK, i.e. you love getting more than you pay for, the Miele Classic C1 comes highly recommended by us. If you’re not looking to spend a fortune on a good vacuum cleaner, you are in the right place. 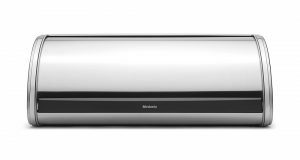 But let’s first highlight the main features/specifications of the Miele Classic C1 before I let you know why it is a good buy and what we’ve found out over past 6 months we own it. I will also discuss what’s not so great so, don’t worry. 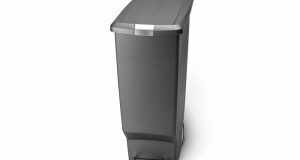 You are reading a balanced Miele Classic C1 Powerline review. The Miele Classic C1 is a bagged cylinder vacuum cleaner produced by Miele, a German manufacturer with several awards from Which? magazine. I personally love German brands, and although they don’t win many design contests, they are reliable and perform very well, which is the reason why we bought it. 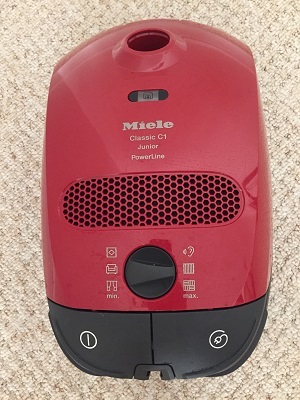 Miele Classic C1 produces 1400W of power and features six power settings which offer effective deep cleaning regardless of the cleaning task at hand. Based on our 6 month experience, I can say that the Miele Classic C1 has an AMAZING suction power! The Miele Classic C1 also stands out for being versatile. You could say that no vacuum cleaning task is beyond reach with this German vacuum cleaner. You can clean all kinds of upholstery, carpets, and floors. You can also use the vacuum cleaner to remove cobwebs as well as dust from crevices, corners, etc. The Miele Classic C1 works well with all kinds of flooring from wooden hardwood floors to tiles. Reviews attest to the fact that the Miele Classic C1 has been built to last. I can also attest to this fact. The vacuum cleaner has a sturdy body featuring a tough outer casing and swivel castors. It looks like it can withstand all kinds of regular abuse and more in my opinion. What’s more is – Miele vacuum cleaners apparently undergo numerous laboratory tests to ensure they last a lifetime. For instance, Miele tests floor heads for over 600 miles over all kinds of floors. Motors are also subjected to 1,000 hours of usage. The body of Miele vacuum cleaners is also tested rigorously. The Miele Classic C1 stands out for a number of things among them being usability. First and foremost, the vacuum cleaner weighs just 4.3kg making it easy to carry around. The Miele Classic C1 also has a 9m operating radius that allows you to clean a large area conveniently without switching sockets. The vacuum cleaner also has an automatic cable rewind feature and a bag-full indicator. You don’t need to manually unwind/rewind the cable or check if the vacuum bag is full like on many cheaper vacuum cleaners. There’s more. The accessories are conveniently stored on the vacuum cleaner (on a Vario-clip). The Miele Classic C1 also has 6 power settings that make it easy to choose a cleaning mode that matches the task at hand. For a vacuum cleaner that produces 1400 watts of power, has a sturdy body, six power settings, an 11-stage filtration system, a new self-closing 3D efficiency HyClean dust bag and a various cleaning accessories such as a dusting brush and upholstery nozzle, a price tag of around £100 is a great deal. When you consider the quality checks that Miele appliances go through, the price is actually very low for a vacuum cleaner of the Miele Classic C1’s calibre. 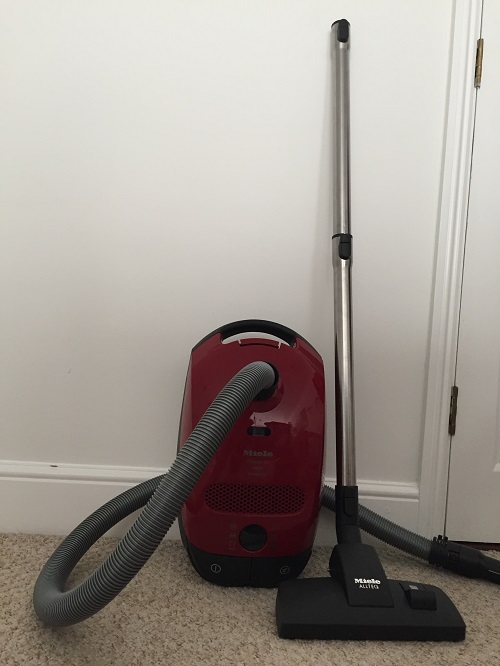 If you have around £100 to spare on a vacuum cleaner, but you want to enjoy the power and features of more expensive vacuum cleaners, the Miele Classic C1 is a great buy. The Miele Classic C1 produces a lot of power and cleans effectively. There’s no vacuum cleaning task you can’t do with the Miele Classic C1, and you’re assured the 20+ years of service. 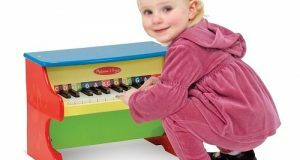 You may have to bear with some higher noise levels when using high-power settings; however, that’s a sacrifice you can make given the great price.